17 registered (HJP, Paulxj, Sir Percival, CooperMan, MOG 615, A11OGE, Wirewheel, mph, Richard Wood, stevemag, griffo, Phil Bleazey, brownbaker, JCD, jbk, kennethjoh, 60Yards), 48 Guests and 10 Spiders online. I read in the December Miscellany an article on fitting a quickshift gear lever to an MT75 gearbox. The opportunity to improve the gear selection mechanism seemed too good to miss. However on searching for solutions I found two. One is Librands which seems to basically be a gear lever shortening kit. The other seems to apply to all MT75 gearboxes, although Cosworth is regularly named. Many suppliers offer this part which "seems" to fit on the bottom of the gear lever and actuates into the gearbox. Anybody have any experience or advice on these parts. Many thanks. I thought the Miscellany article was referring to a Type 9 box? AIUI all 'quick shift' options basically move the pivot point of the lever further up the shaft, thus reducing the movement required of the knob, but increasing the effort needed to do so. You can do this either by replacing the lever or by spacing the existing lever away from the mechanism. Shortening the actual shaft will reduce the amount of movement at the knob, but further increase the effort required. Librands do a kit for the later box (MT75), but for the T9 box you need to go to either Burton or Rally Design. Simple extension kits are available on Fleabay. The article was about the Type 9 box but about 2/3 of the way through they mentioned the MT75 and that it could be modified. At some time in the past other suppliers (eg Quaife) did provide quickshift levers for the MT75 box but I cannot find anyone but Librands that do so now. My problem was basically that the Librands solution and that offered by all the genetic MT75 box component suppliers looks radically different. I do not think Burtons or other related Ford MT75 products will work. 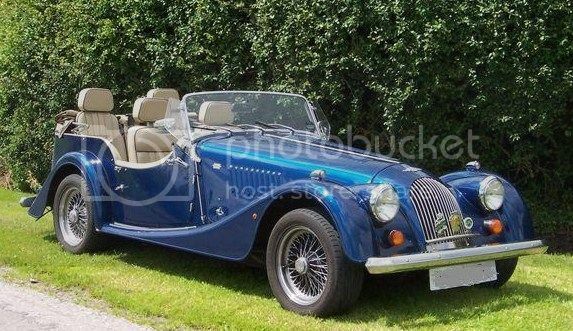 Here is a Photo of MT75 as fitted to Morgans with Morgan designed shift. Many thanks, those two photos explain a great deal. I had assumed the MT75 had an extended end housing like the Mazda box (and most other gearboxes I have had). However there does not seem to be anywhere on this photo that would take the standard non-Librands MT75 mod. I think I have not yet owned a Morgan long enough not to be surprised by some of the little idiosyncrasies that crop up. I assumed an MT75 gearbox was and MT75 gearbox and that was that. Silly me. Thanks again for the photo - a great help. Sorry if my post was confusing to anyone. Jays Post number #83660 Re Gearbox photos. and the 2nd photo is the MT75. I am confused (or naive) over the MT75 box. Cain's link above shows an MT75 box. The quickshift sold for the MT75 (see http://www.ebay.co.uk/itm/Cosworth-24V-MT75-quick-shift-2-4-wheel-drive-boxes-/221645963389?hash=item339b21007d:m:mofoPqqvY5N469wkzzYV1Hg for an example) would not seem to fit this box. However other pictures of the MT75 (eg http://www.ebay.co.uk/itm/Ford-transit-MT75-gearbox-/111836795777?hash=item1a09fe1381:g:oPkAAOSwgyxWWkrj) show a different box. Does this mean the MT75 had significant variations or have Morgan modified an MT75. As earlier in this thread I will probably buy the Librands product but I hate an apparent contradiction such as this. Any help to ease my ignorance would be greatly appreciated. Here you go this should help as there are many MT75 gear box variants. Our MT75 has remote the gearshift but it is Morgan only. Librands do not Manufacture a quick dermot for the MT75. The Ebay links for Cosworth will not fit the Morgan MT75 Gearbox variant. The Burton catalogue mentions the 2wd and 4wd and from the web I see there is also the Transit version of the MT75 box. The catalogue also adds "an aftermarket 2wd gearbox is also available with removable bellhousing". I would think that Morgan used this box as the other boxes have an integral bellhousing. From the pictures on the web the gear linkage on the Morgan box is different to the Sierra/Granada boxes. If you find something to improve the gear change please let me know as I am looking for an improvement too. Thanks everyone for the photos and links they were very helpful in helping me understand the gearbox arrangement in my car. When I started I assumed the MT75 solution offered by most suppliers was for once a quick and cheap upgrade. Must drink less. Just a note: Thanks Cain for the MT75 link. David; I fitted the Librands sports shift for the Zetec 4/4 (MT75)last year and am very happy I did so. David 2001 4/4 4 seater. Avus Blue. My MT75 does not have Sliding sleeve for reverse and Librands Sport Gear shift will defiantly not fit. I take it your MT75 does have a sliding sleeve reverse? Yes my gear lever does have a sliding sleeve to select reverse. However after Christmas I intend to get under the car and have a good look at the box and linkages to check condition and type. This whole process has intrigued me over what I thought was a standard component - the MT75 box. I assumed with minor variations all such coded gearboxes were the same. No - there are 2 and 4 wheel drive versions, different gear ratios depending on the car, different gear lever arrangements and from your comment even different reverse selection methods. I am pleased to say though that I have learned a great deal. The key to this "quick shift" issue may well be in what engine is fitted. The Zetec engine cars could use a Sierra MT75 box (with it's gear shift linkage and integarel bell housing). Where as the Duratec engined cars use the "after market" (see my earlier post) gearbox because of the need to use a different bell housing. The link posted by Cain shows a box with a removable BH and perhaps a Morgan gear linkage. A Zetec car could therefore use a Sierra quick shift kit. My Duratec car does not have the slider for reverse lockout. [quote=Georgie]Just a note: Thanks Cain for the MT75 link. Hi Caine, yes my 2000 Zetec silvertop with the MT75 does have the sliding sleeve for reverse. The original gear shift was exactly the same as the schematic in your attached super7heaven MT75 repair manual under: Gear Shift.